To get the most out of your Windows 8 tablet or laptop-tablet hybrid device, you really have to venture into Windows 8’s Modern UI (formerly called Metro) and make use of the native apps that are on offer from the Windows Store. If you don’t use your Windows 8 tablet or laptop in this environment, then you aren’t taking full advantage of what Windows 8 offers. While the Windows Store can be a little clunky to use and sometimes behaves unreliably (at least in our experience), there are many apps that you can try out which will perhaps give you a new perspective on how your Windows 8 device can be used. We'll kick things off with our most favourite app. This is Boston.com's app for the picture section of the same name on its Web site. It puts all of the site's large-sized photos in a slideshow app so that you can browse through them with the swipe of a finger across the screen. It helps that the pictures are often amazing. 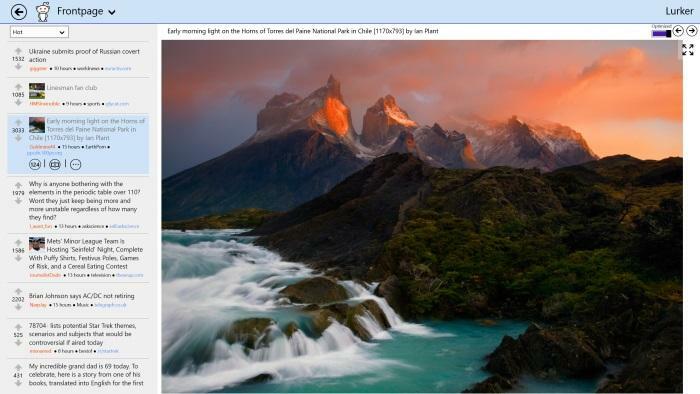 While on the subject of photos, the Flickr Manager isn't too bad either, especially if you've already got all your photos on the site. 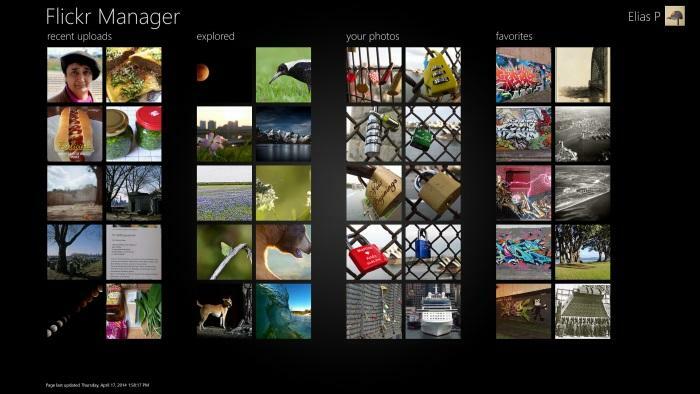 You can see not only your own photos, but also recent uploads from others, Explored photos, and your favourites. 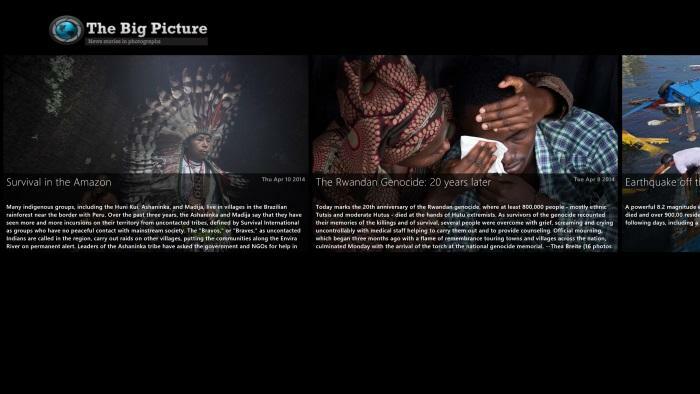 All this is at a glance on the main screen and you can flick through photos with your finger. That's apt for a service that's called Flickr, wouldn't you say? When it comes to Reddit, we prefer using this app rather than the Web site. To use it, simply select your favourite Reddit, then tap on the submissions shown on the left side. The content shows up on the right side. If you want to read comments, just click the icon with the number in it on the left. They will show up in place of the content, though you can also choose to view the comments with the content side by side. Definitely worth using this app when you're in tablet mode. If you're a fan of electronic music, it's hard to go past Digitally Imported and the radio stations it offers. The app allows you to easily select a radio station from its clear tile interface, and you can even pin your favourites to the Start screen. Once you select a station, you get a play screen that shows track history and can easily skip to the next station in the list. 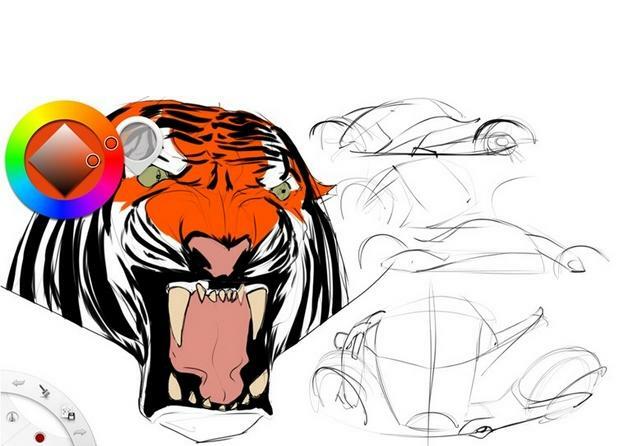 The Sketchbook Express app is the streamlined version of its desktop counterpart. 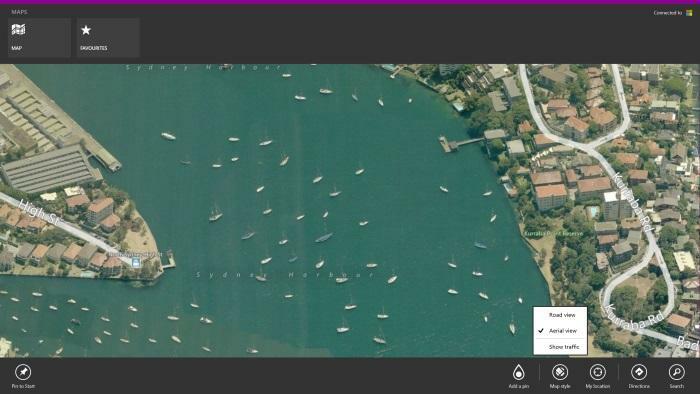 It’s free and very basic, but is still a useful tool use for Windows 8 tablet users. The tool options consist of pencil, pen, marker, paintbrush, airbrush, rounded and jagged erasers, and a paintbucket. There is also an eye dropper tool and a colour wheel. This app can easily be used to finger paint or draw if you have a stylus enabled tablet, you can even use the mouse. You can download this app as a tablet friendly option or simply as a taste before deciding whether to upgrade to the pro desktop version. 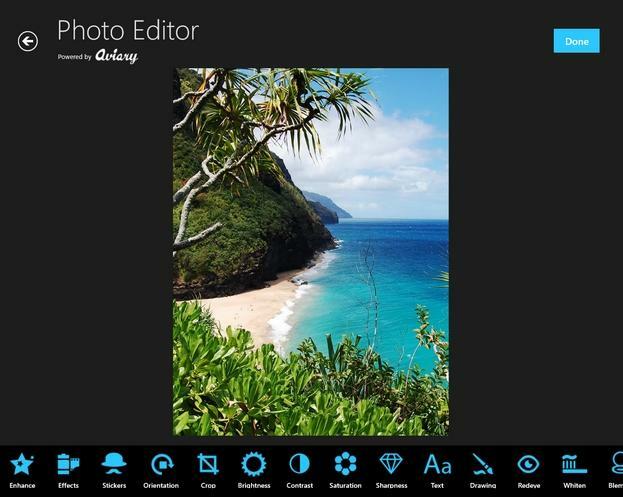 Photo Editor by aviary is a free, simple photo editing app optimised for Windows 8 tablets. It comes with many editing and filter options. You can quickly edit the shots that you have taken. You can crop, rotate, adjust brightness, contrast, saturation, sharpen, blur and even draw and add text onto your photograph. In addition to this there is one-tap auto enhance, various photo filters, stickers that you can resize, rotate, and add to your photo, and cosmetic tools, which are very useful for quick fixes, such as to fix redeye, remove blemishes, and whiten teeth. This app offers a wealth of photo editing options and is very easy to use, so there is no need to become a master of Photoshop for simple tasks. If this isn't installed by default on your device, then you should give it a go. Switch to 'Aerial view' by swiping in from the top and selecting the map style, and then have fun browsing around different cities all over the world by dragging your finger across the touchscreen. Use a two-finger pinch gesture to zoom in. 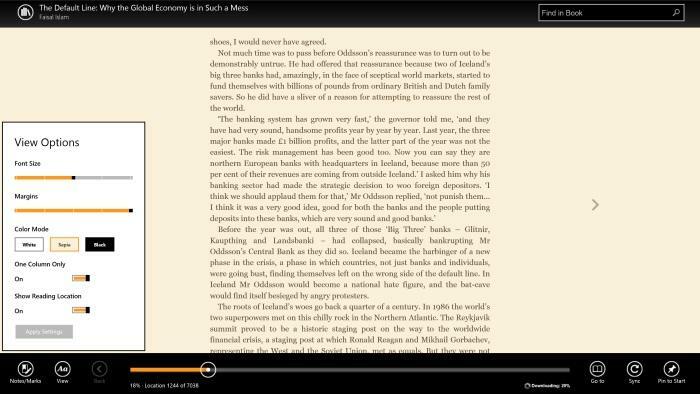 There's not much to say about this other than the Kindle app is available on the Windows 8 platform and should be used if you already have a Kindle account. 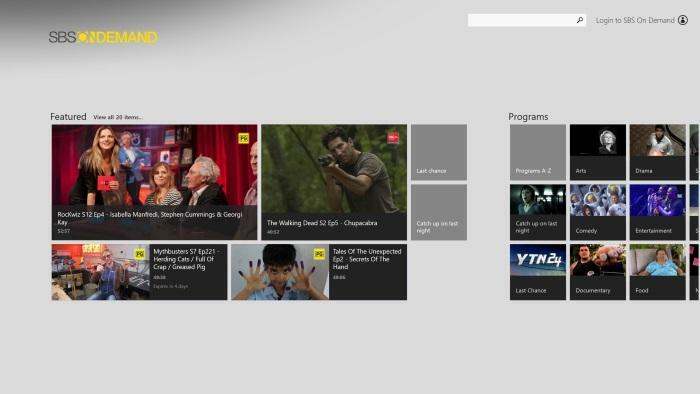 SBS OnDemand was one of the first video streaming services from an Australian broadcaster to offer an app on Windows 8, and it's great for catching up on programs you may have missed during the week. 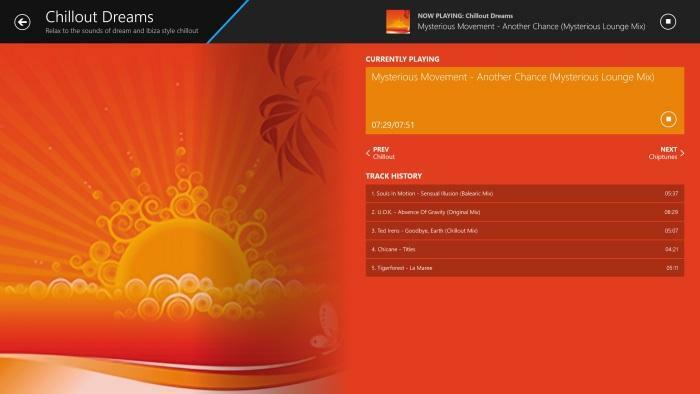 The interface is simple, and you can easily browse the latest content that's been uploaded according to genre. The station's current affairs programs are offered, as well as US shows such as The Walking Dead. 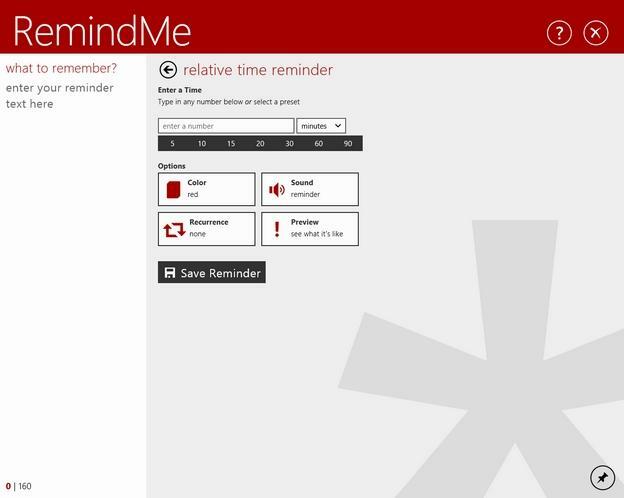 RemindMe is a very simple but effective reminders application for Windows 8. You can quickly create reminders for yourself in relative time (for example, in 10 minutes) or at a specific time and date. The app also allows you to see your reminder countdown in real time. RemindMe integrates with your windows 8 device, your next reminder shows itself on the live tile, as well as on the lockscreen. You can set the colour of the reminder, sound, and recurrence. Once activated, a notification will show itself on the top right hand of the screen, wherever you are. This app is handy who tend to be forgetful, or need to stay alert with lots of tasks. In addition to being free, RemindMe has no advertisements.